Stonegate Residents should log into the website to use this form to ensure you can track the progress of your request. Advance setup is not permitted and renters must exit by agreed upon time. 1. 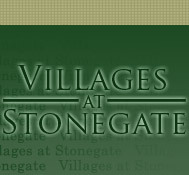 If a Stonegate home owner, you must be a member in good standing of the Stonegate Homeowners Association. 2. Children and teen parties must be chaperoned by specified adults, to be named in this agreement. One adult chaperone over the age of 25 must be present for every 10 guests under the age of 18. 3. The member/renter holds harmless the Homeowners Association for any liability suit arising from this function. Renter/member is responsible for any liability suit arising from this function. Proof of homeowner's insurance is required with the rental fees. 4. The renter/member agrees to leave the clubhouse and surrounding area neat and clean by replacing any moved furniture and removing all trash to the trash cans located on the pool deck and following the cleaning specifications. 5. If the pool facility will not be used during the event, Renter agrees to release the Homeowners Association for any and all liability surrounding use of the pool during this event. It is also understood that no part of the event may take place on the pool deck or the security deposit will be forfeited. 6. If the pool facility will be used during the event, the pool may only be accessed during normal pool operating hours and the renter must contact the HOA Management Company to determine additional lifeguard are needed. The additional fee for use of the pool is $25 per hour, a minimum of $100 per 25 people. 7. Smoking is prohibited in the clubhouse and prohibited on the pool deck. The Rental Fee is $100 residents, $150 non-residents for up to 8 hours. Rental may occur between the hours of 8:00am and 1:00am. A refundable Security Deposit of $250.00 (residents) or $500 (non-residents) is also required. If cancellation is made prior to 15 days of date of rental, all monies will be returned in full upon cancellation. The Security Deposit will be returned in full provided the clubhouse is: undamaged, cleaned according to the attached cleaning specifications and the key is returned to the storage box on the building exterior by the pool entrance. If your rental is to occur within 14 days of this request, your rental check, deposit check and proof of homeowner's insurance if necessary, is due within 24 hours of receiving a confirmation that the date is available. If your rental is to occur 15 or more days after this request your rental check, deposit check and proof of homeowner's insurance if necessary, is due within 14 days of receiving confirmation that the date is available. NSF: A fee of $35.00 will be assessed for each check that is returned for insufficient funds. NOTE: This reservation is not complete until the rental fee and deposit check are recieved by the board member in charge of rentals.